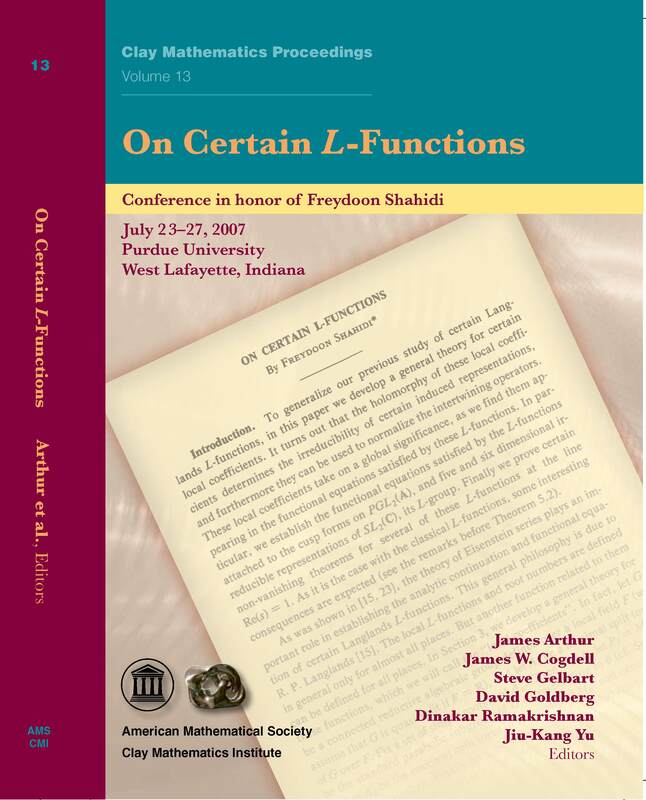 This volume constitutes the proceedings of a conference,"On certain L-functions", held July 23-27, 2007, at Purdue University, West Lafayette, Indiana. The conference was organized in honor of the 60th birthday of Freydoon Shahidi, widely recognized as having made groundbreaking contributions to the Langlands program. The volume contains 23 contributed manuscripts, by 35 authors, and represents a snapshot of the state of the field from several viewpoints. Contributions illuminate various areas of the study of geometric, analytic, and number theoretic aspects of automorphic forms and their L--functions, and both local and global theory are addressed. Topics include, Langland functoriality,the Rankin-Selberg method, the Langlands Shahidi method, motivic Galois groups, Shimura varieties, orbital integrals, representations of p-adic groups, Plancherel formula and its consequences, the Gross-Prasad conjecture, and more. Also included is an expository article on Shahidi's contributions to the field, which serves as an introduction to the subject. Research experts will find it a useful reference, and beginning researchers will be able to survey major results in the Langlands program through the contents.